The Renaissance Fair is held each September at the historic museum of El Rancho de Las Golondrinas near Santa Fe and features dancers, knights, acrobats and many other performers celebrating the culture and lifestyle of the Medieval Middle Ages. 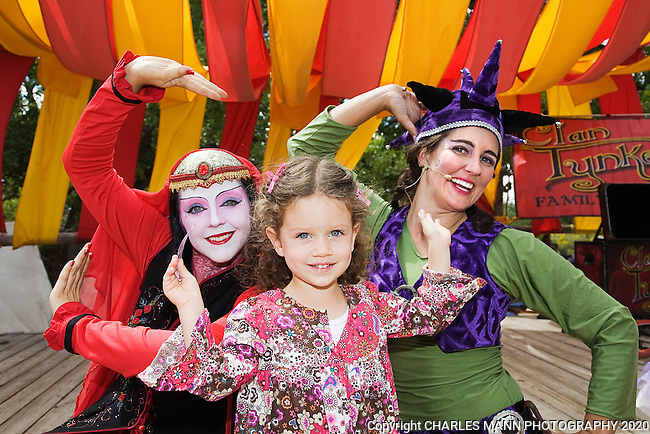 Clan Tynker is a family troup that performs acrobatics, magic tricks and other feats that keep the crowd entertained. Clan Tynker performers Serendipity and Rebacca pose with a young fan.